FULL DESCRIPTION Dybles are delighted to present to the market an opportunity to purchase a piece of Winchester’s rich history situated in the heart of the city. We understand from research carried out by the current owner that this wonderful period property was at one time part of the residence of Catherine of Braganza (she who introduced tea to the English Court! ), Queen Consort to King Charles II of England. The property has retained much character with period features from many eras including original beams, feature fireplaces and oak floorboards. Whilst in need of some updating now, the spacious house has been altered and modernised at various times but still offers great potential for further extension and improvement (subject to necessary planning consents) as a family home. The accommodation comprises on the ground floor: Entrance hall with storage cupboard, large living room with feature brick built fireplace and doors out to the garden, dining room/sitting room, study, kitchen/breakfast room and shower room. 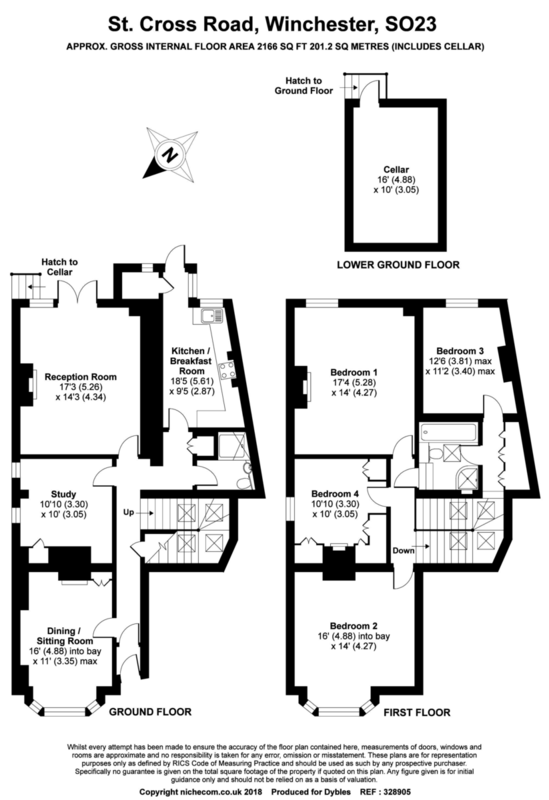 First floor: landing with storage cupboards, four double bedrooms with feature fireplaces and a family bathroom. In 2012, the vendor purchased additional land to the rear of the property which has meant the house now benefits from a beautiful garden of a very generous size, mainly laid to lawn with patio area and offering delightful city views. There is access to a large cellar and an allocated parking area for two/three vehicles. On street parking permits are also available. An internal viewing is essential to fully appreciate the character, space and potential on offer with this unique property.